When a nation enters war, it often justifies its actions with promises of a better and more just world. The Great War, which consumed much of Europe and its colonial outposts from 1914 to 1918, was no exception. H.G. Wells called it the “war that will end war,” which later morphed into “the war to end all wars.” Wells coined this phrase in a Times editorial. His 1914 editorials are easily accessible in a book: The War That Will End War. 2014 marks the one hundredth anniversary of the beginning of the war: A war that started with Austria’s declaration of war against Serbia on July 28, 1914, following the assassination of Archduke Franz Ferdinand and his wife a month earlier. Much has been written about the war since then, and 2014 promises a bumper crop of new scholarship. 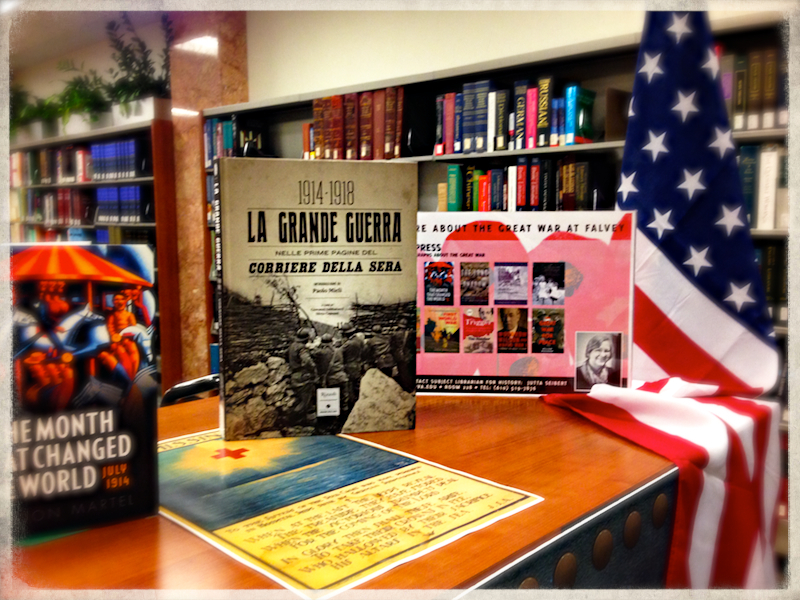 The Library will showcase new publications in a small exhibit in the Learning Commons throughout the fall semester. Here are some titles you can expect to see in the exhibit. Aside from run-of-the-mill general surveys, a number of these books explore previously neglected aspects of the war. David Crane pays homage to Sir Fabian Ware in Empires of the Dead: How One Man’s Vision Led to the Creation of WWI’s War Graves, an account of the founding of the Commonwealth War Graves Commission. Rosie Kennedy shows how the war influenced a child’s life in The Children’s War: Britain, 1914-1918. The Great War: A Photographic Narrative showcases a selection of World War I images from the archives of the Imperial War Museums. Annika Mombauer’s The Origins of the First World War: Diplomatic and Military Documents presents English translations of important primary sources. In The Great War for Peace William Mulligan argues that World War I was the cradle of twentieth century peace movements. 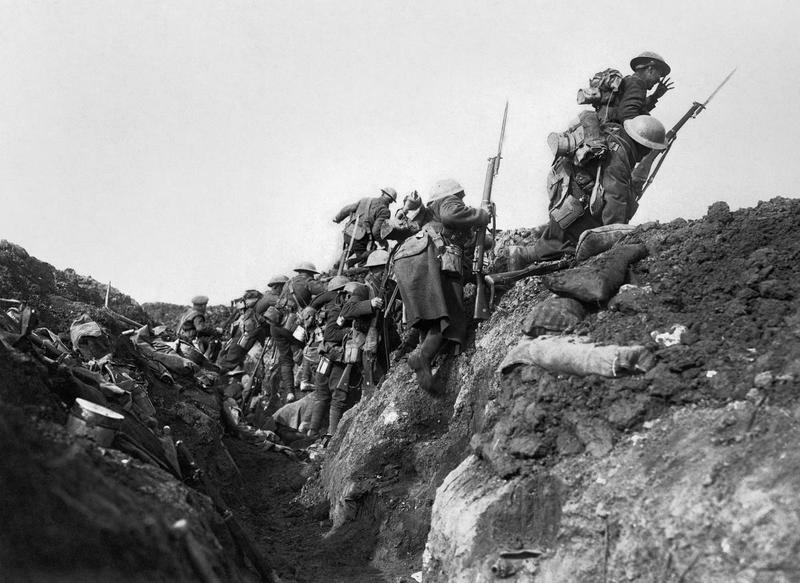 The historiography of the Great War has gone through many changes, and the amount of scholarship can be overwhelming. The three volumes of the Cambridge History of the First World War, particularly the excellent bibliographic essays included in each volume, are a good starting point for interested readers. Among the excellent primary sources available at Falvey are the complete archives of the New York Times and the London Times. Your Villanova id. will allow you either to open the New York Times from Sunday, August 9, 1914 and browse through pages after pages of war coverage or to read the detailed coverage of the war declaration in the Times of London on July 29, 1914.